Up to 30 homes were evacuated near Dog Kennel Lane in Lisburn, last Thursday during a security alert which lasted a few hours. Duncans Road was closed at Antrim Road and Beechdene Drive junctions following the discovery of suspicious object. On the same day a suspicious object, believed to be an old World War II grenade, which sparked a security alert in Dundonald was taken away for examination. 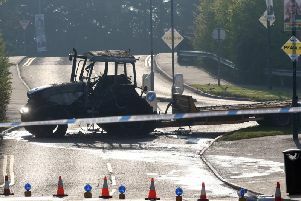 The Comber Road was closed at its junction with Millmount Road and has since reopened. A number of houses were evacuated and the Enler centre had been opened for evacuated residents. A PSNI spokesman said nothing untoward was found in the operation.